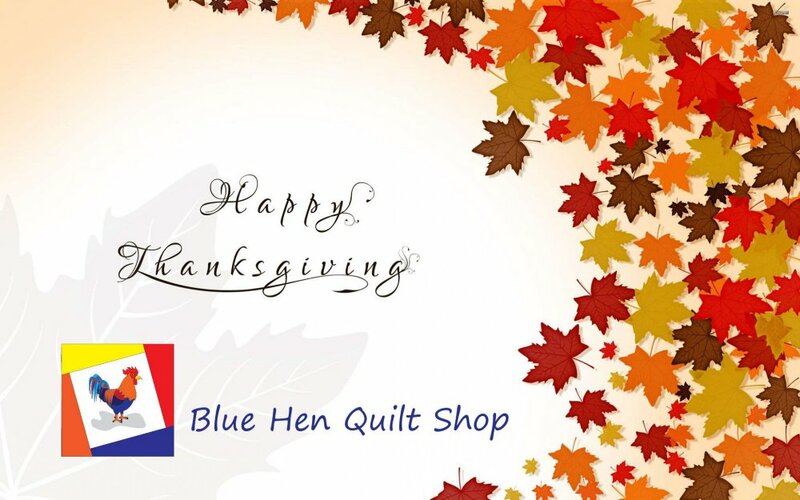 And we are so thankful for you for your patronage in Blue Hen Quilt Shop! We hope to be thanking you for years to come! We will be closed Wednesday through Friday celebrating Thanksgiving, but hope to see you on Small Business Saturday the 26th!